Advanced melanoma is an aggressive disease. It is among the most immunogenic of all tumors and many of the lessons learned in cancer immunology have involved the study of melanoma. 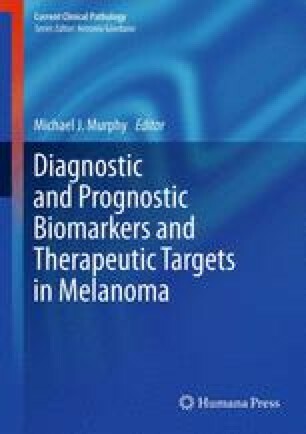 Clinical regression of both benign and malignant melanocytic neoplasms lends further support for the potential powerful effect of the immune system targeting these neoplasms. However, only a subset of patients shows a favorable response to immune-based therapeutic interventions. Therefore, the identification of biomarkers that may assist in identifying patients who are likely to respond to immunotherapy would be a tremendous improvement with respect to the risk/benefit ratio, patient safety and cost.